Wanted: Students for Greenhouse Management Training | Chatham-Kent Agriculture Development | We Grow For the World! The rapid expansion of Ontario’s greenhouse vegetable industry, more than 2000 acres under glass or vinyl on 220 operations, has created a problem. There is a shortage of employees with management skills. 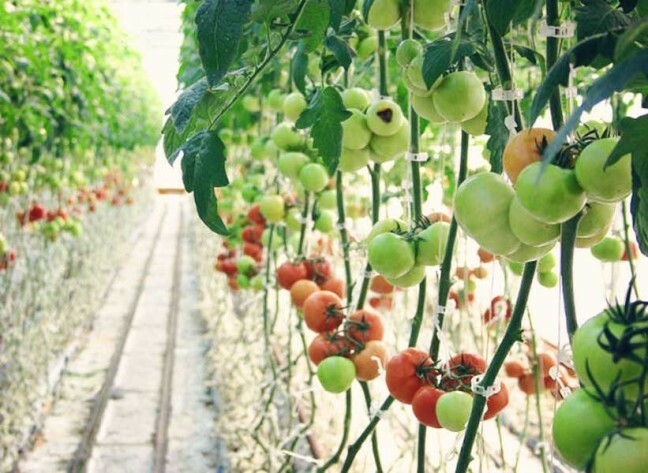 To solve the problem, the Ontario Greenhouse Vegetable Growers marketing board (OGVG) engaged the University of Guelph -Ridgetown campus to develop a course of study that would deliver graduates with the management skills needed in the greenhouse industry. That program is now ready to take off with student applications being received this spring and the first classes scheduled to begin in September. “This is a program our industry has needed for some time,” says Don Taylor, chair of OGVG. “The growth of the industry and the size of many greenhouse operations have increased the demand for strong management skills,” Taylor adds. He explained that the course to be taught at Ridgetown is based on similar programs taught in the Netherlands. Not for recent high school grads, the Greenhouse Vegetable Management program is an advanced course for diploma or degree graduates in horticulture, or qualifying mature students with significant industry experience. The 16 month four-semester program includes semesters 1 & 3 at the Ridgetown campus and semesters 2 & 4 in paid work placements at commercial greenhouse vegetable operations. The program is set up as a full cost recovery program with tuition, books and fees totalling about $10,000 but there is the opportunity to off-set some of that expense with the paid work semesters. Krista Gladstone, project co-ordinator at the Ridgetown campus says the post-diploma certificate program is designed to both meet the needs of the greenhouse industry and provide a course of study with employment opportunities at the end. “The course will be of particular interest to recent grads in horticulture, entomology and plant science,” Gladstone suggests. A wide range of topics are included in the study semesters -from greenhouse control systems to integrated pest management, from human resources to greenhouse economics, and from greenhouse health and safety to diagnosing plant nutrient disorders. Interested students should apply to Ontario Colleges and the deadline for receipt of applications is March 28. Enrollment is limited to 18 for the initial course. For more details contact Krista Gladstone 519-674-1500 ext 63597.